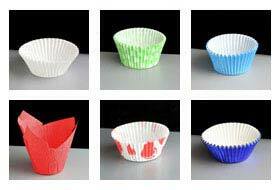 We stock a range of coloured paper tulip cake cases ideal for baking professional muffins. This style of paper muffin case is very popular and is used by many large cafe and coffee shop chains to package their muffins. 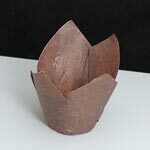 A sleeve of 200 chocolate coloured paper tulip muffin cases. 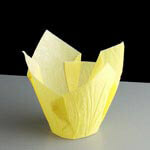 A sleeve of 150 yellow coloured paper tulip muffin cases. 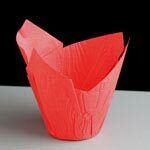 A sleeve of 150 red coloured paper tulip muffin cases.